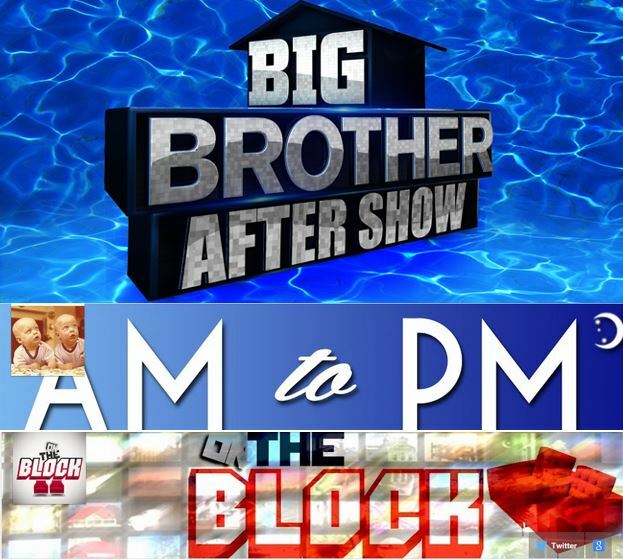 BIG BROTHER 17 – AFTER SHOW – AM 2 PM – The KILL SHOW! PODCAST MASHUP! Podcast Mashup – Big Brother 17 After Show episode 8 hosted by Kevin Zelman, Ryan Hooks, Ashley Iocco, Jen Johnson – all super fans. AM 2 PM has a new episode with Andrew and Pete discussing the return of Johnny Mac, Vanessa’s gameplay, the future of LizTin and how to audition for BBCAN4. Simon also has is weekly appearance on The Kill Show talking about everything going on inside the BB17 house. 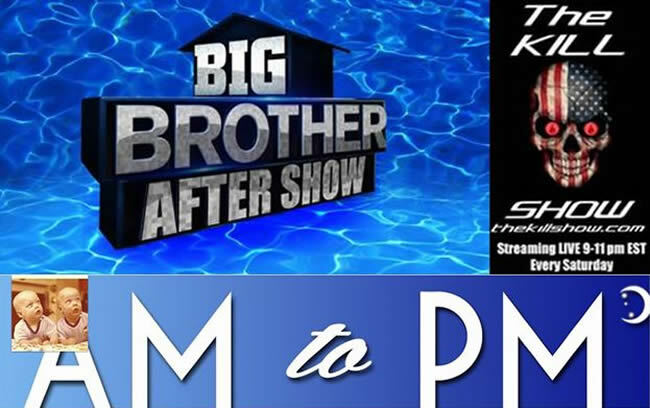 Podcast Mashup – Big Brother 17 After Show episode 8 hosted by Kevin Zelman, Ryan Hooks, Ashley Iocco (BB Season 14), Jen Johnson (BB Season 8) – all super fans! On the Block – With hosts Spencer Clawson and Mccrae Olsen from Big Brother 15 talk with Clay Honeycutt about last nights double eviction and Jason Roy gives his rundown of the game thus far. Unfortunately AM 2 PM did not produce an episode this week but stay tuned for one to come out soon. Also Simon did another podcast guest appearance on the Kill Show last week.